For those of you who are type B, mellow, go-with-the-flow kind of people, I’m happy for you. 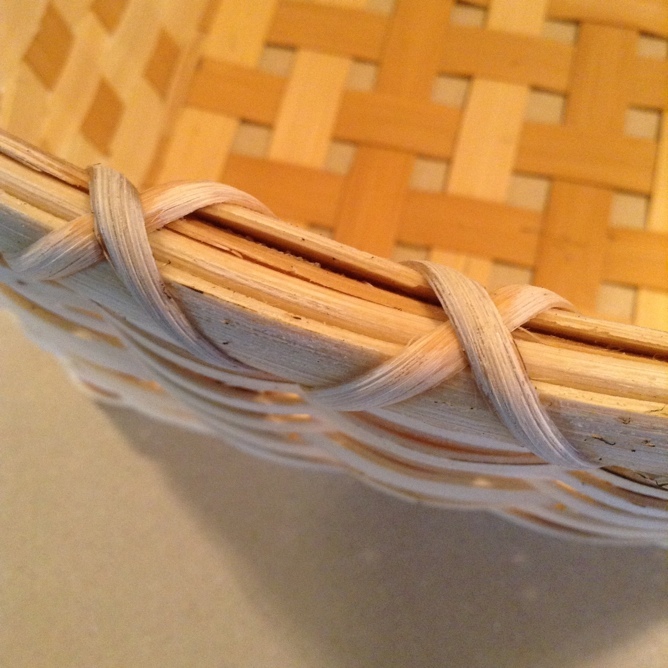 For those of us who are not so laid back, there can be little details about finishing a basket that can drive us crazy. 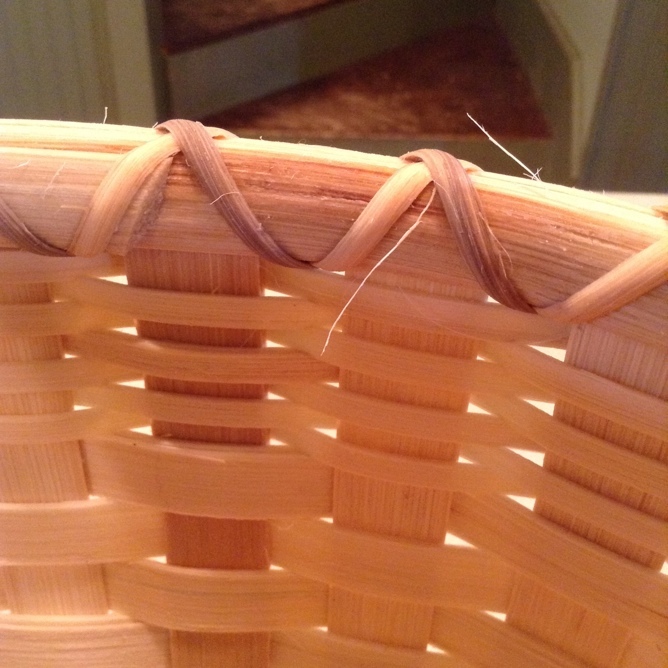 One of those little details is getting rid of the tiny hairs that splinter off the reed as you weave. For my type A personality, those little hairs mean I have no rest with my finished product. Out of the necessity to be at peace, I discovered the most efficient way of removing them. Clipping them with the snips takes way too long, so we break out the blow torch! 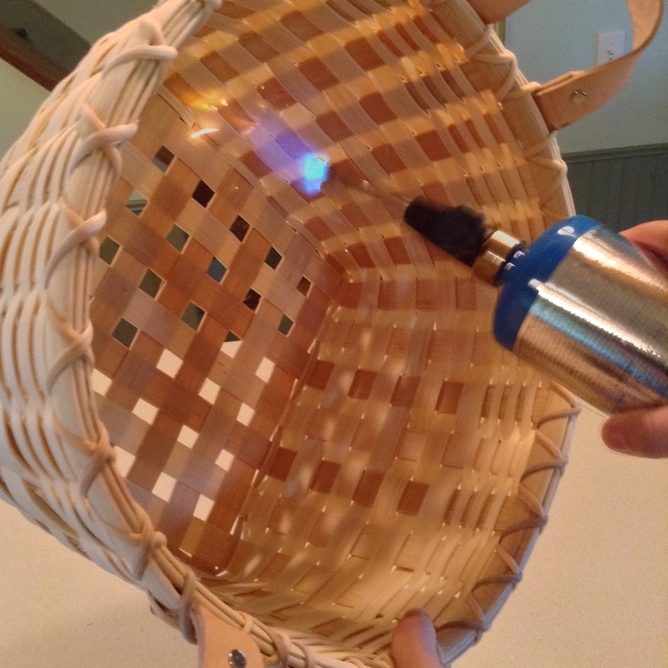 This method singes off those hairs in just a few seconds, but there is the danger of burning your basket if you stay in one place too long. It’s best to do this while your basket is still damp. Constant movement is required, but it does make for some blurry photography. 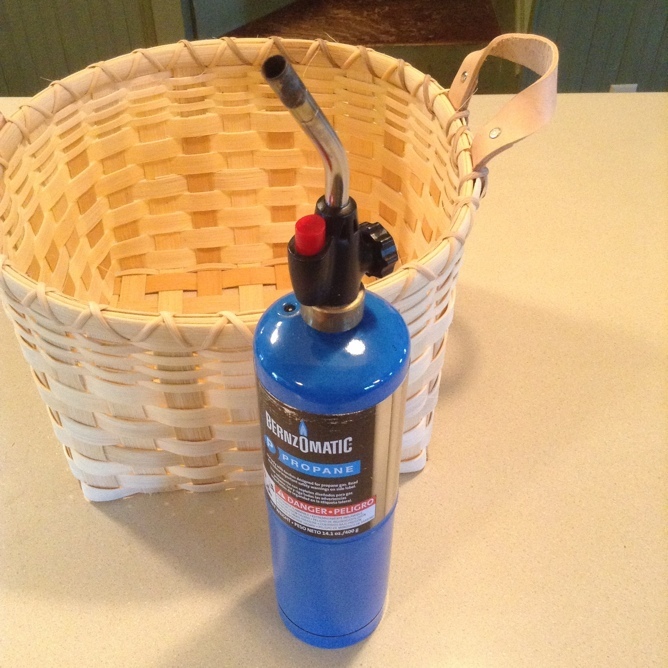 If you don’t happen to have a propane torch, a gas stove top works well, too. Again, just be sure not to stay in one place too long. 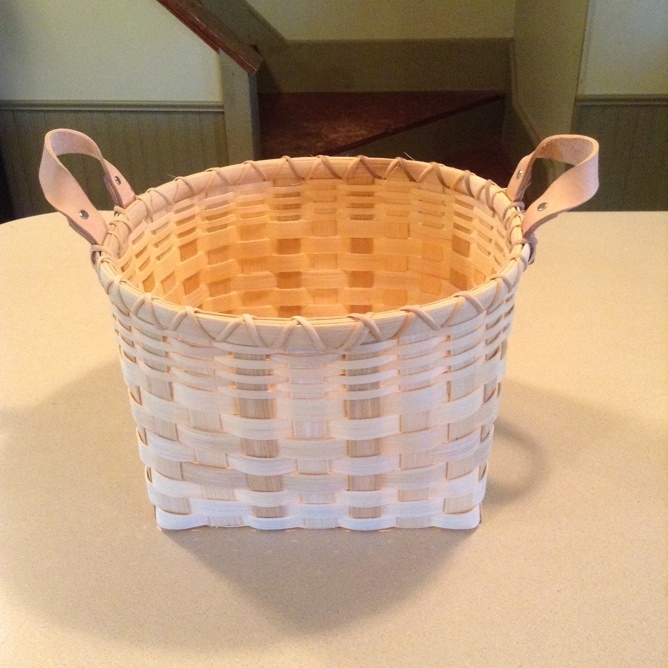 You also can do this step if you’ve already stained your basket. Just remember that most stains are flammable, so move quickly and carefully! 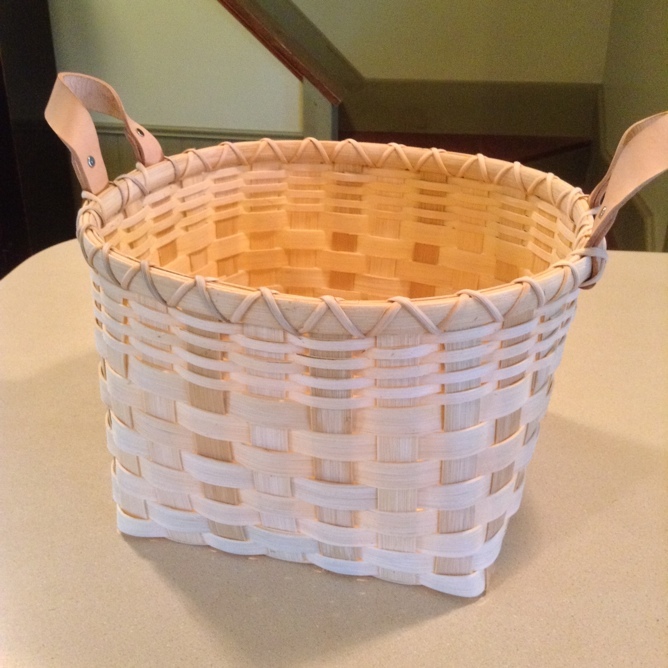 Once all those fuzzies are burned off, your basket is one step closer to being finished. And your type A personality can be a little more at peace. I bought a smaller torch in the plumbing department of WalMart that uses propane lighter fluid. It is smaller and easier to handle. I am a Type A also ... can’t stand the little hairs! I use a lighter but like you say you have to be very careful. I use a torch that I bought for making creme brulee. It’s a bit easier for me to hold and works great!